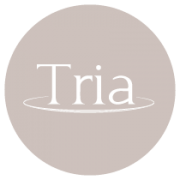 Tria Porcelain offers beautifully simplistic table settings that enhance the current trends in dining. The range is comprised of two patterns—“Wish,” a stunning embossed range, and “Simple Plus,” clean shapes with boundless versatility. One year limited chip warranty on flat pieces.